The crisis is deeply rooted in our Latin american nations has shaken them all, but with a different strength, persistence and intensity, according to the particularities of their respective economic structures, social and political. Of the recurrent and, in some ways cyclical, the crisis came with and put time and time again put on hold the feasibility of the development of the countries of the region. This has, however, a specificity that distinguishes it clearly in the historical retrospective of modern Latin America and that has to do with the dynamics of its recent transformations in their economic and social structures. The questions which will serve as the axis to our discussions and challenge our disciplines not only in their functions accrediting, but also emancipatory. This latter demand it is evident that the trends experienced in the society have gone ahead with much to our understanding. It is also worth to ask whether it is not required of innovations in our theoretical and methodological perspectives and, by the way, discussions are more broad and inclusive, and in the face of new actors and social movements. From these axes that make up a certain look on crises and emergencies in Latin America and The Caribbean, the Organization of the XXIX Latin american Congress of Sociology invites dialogue, reflection and debate. 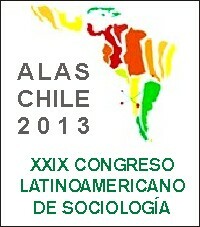 The Latin america Sociology Association (ALAS) was the first association of the regional nature of sociology in the world. Founded in 1950 in Zurich by a group of sociologists in Latin america who gathered at the First Congress of Sociology organised by International Sociological Association, which later adopted the name of International Sociological Association (ISA). Its founding members were Alfredo Poviña and Tecera del Franco (Argentina), José Arthur Rios (Brazil), Rafael Bernal Jimenez (Colombia), Astolfo Tapia Moore and Marcos Goycoolea Cortes (Chile), Luis Bossano and Angel Modesto Paredes (Ecuador), Roberto MacLean Estenós (Peru) and Rafael Caldera (Venezuela).